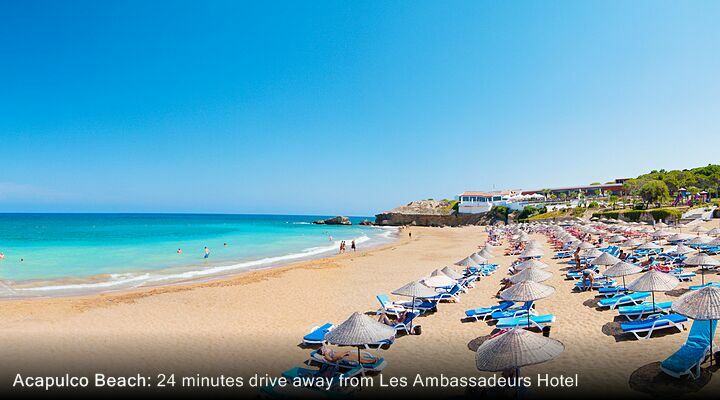 7 Nights from £529 inc Flights, Hotel & VIP Transfers - £159 OFF! 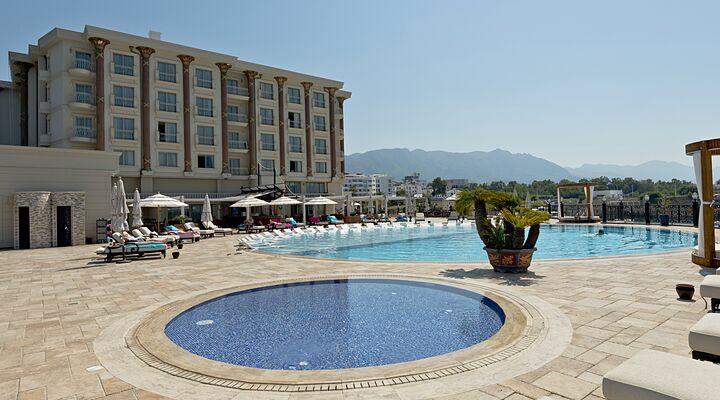 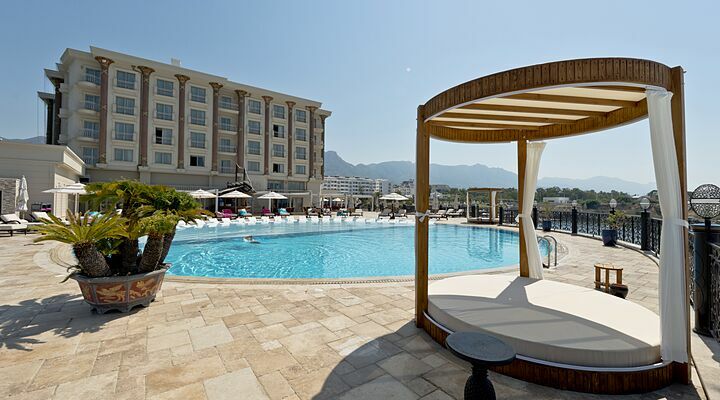 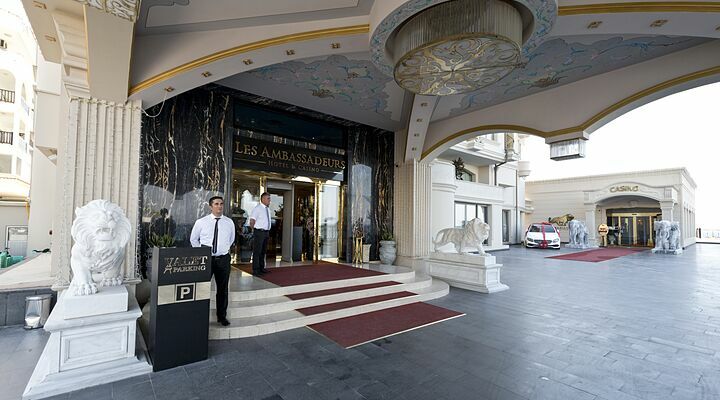 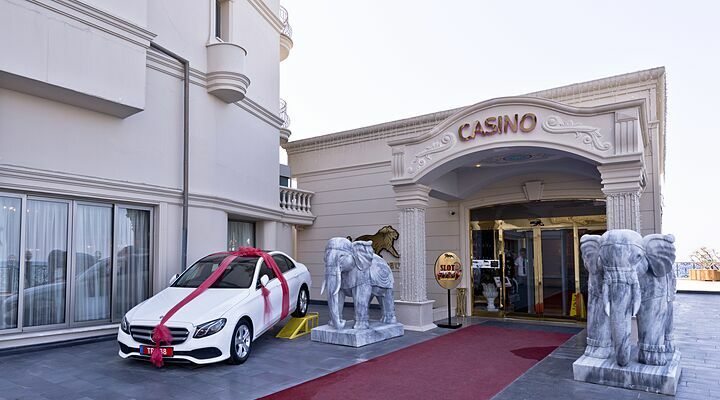 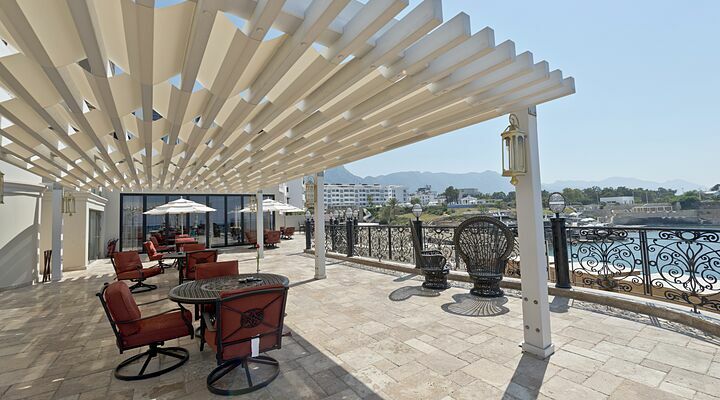 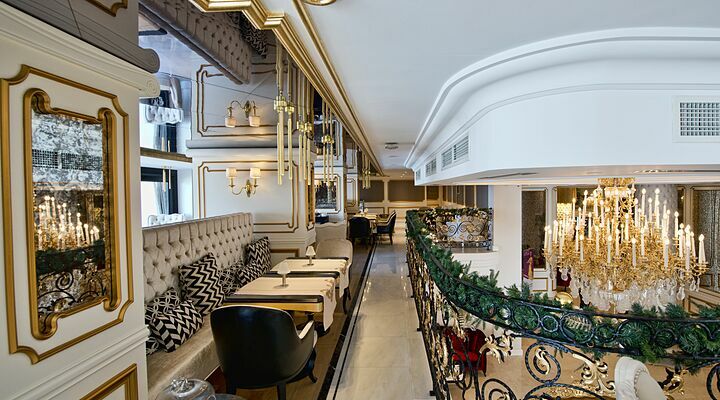 Just minutes’ away from the centre of Kyrenia, and right on the seafront, Les Ambassadeurs Hotel and Casino is a richly decorated five star hotel that never fails to impress the eye! 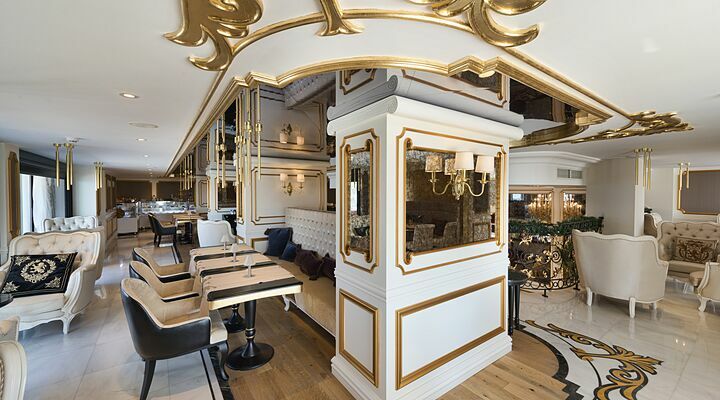 The designers of this new five star hotel have created a golden, glittering hotel that literally shimmers and sparkles like the sea it overlooks. 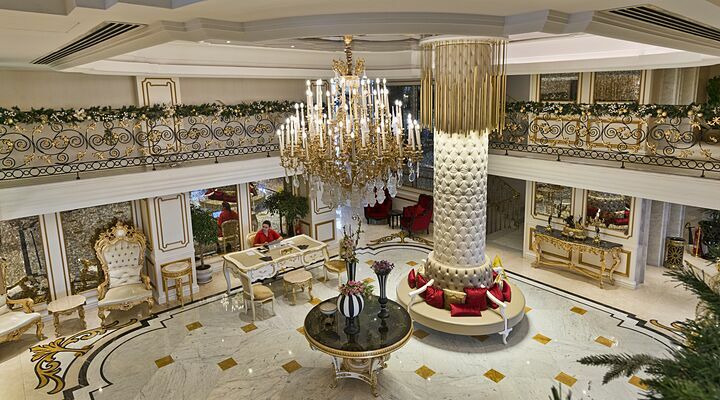 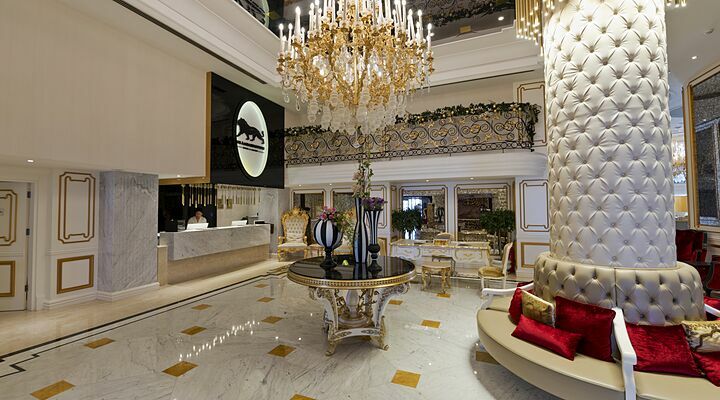 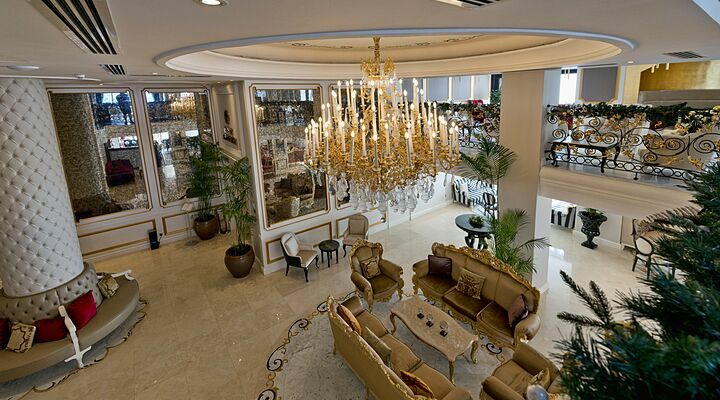 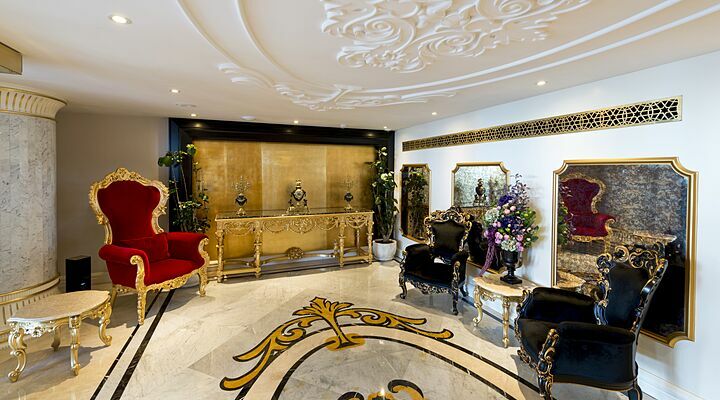 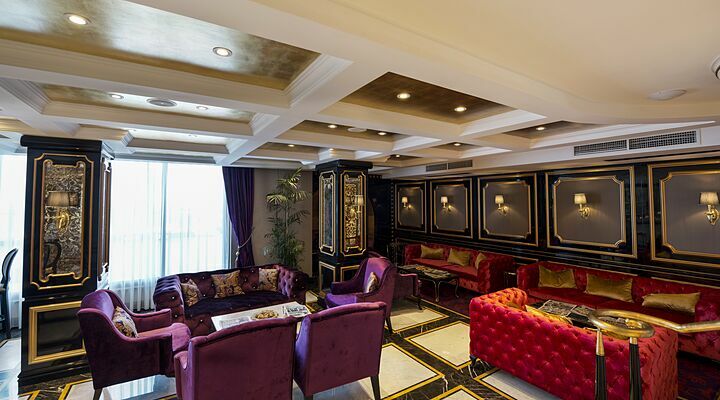 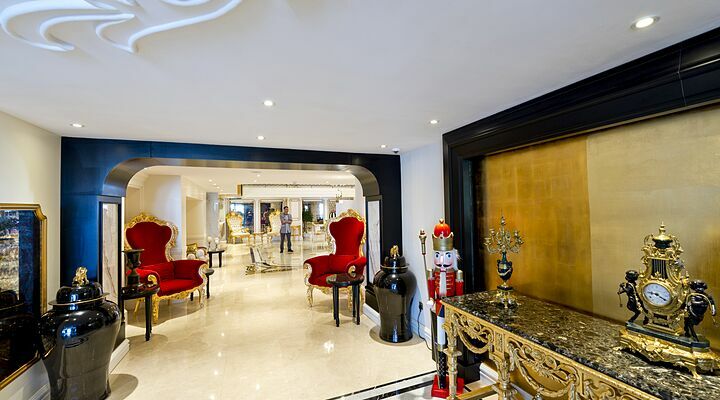 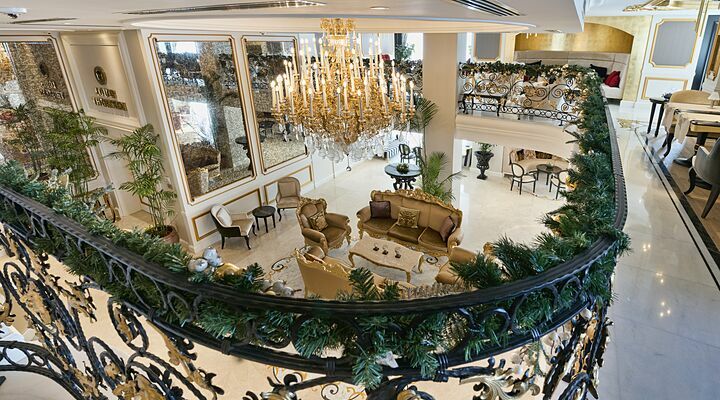 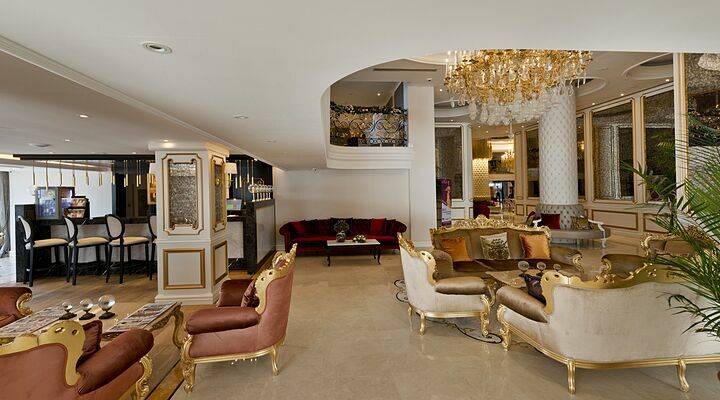 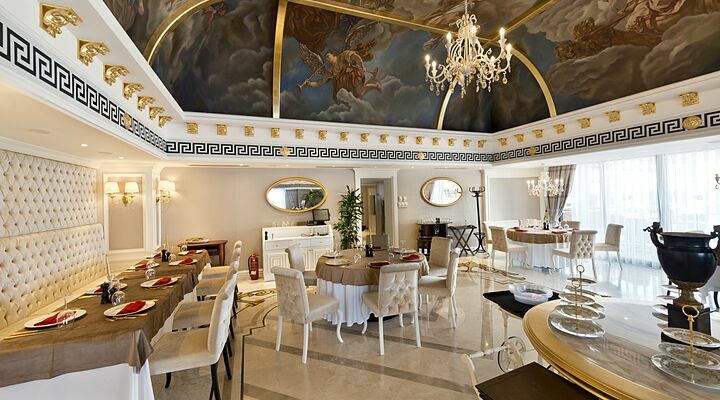 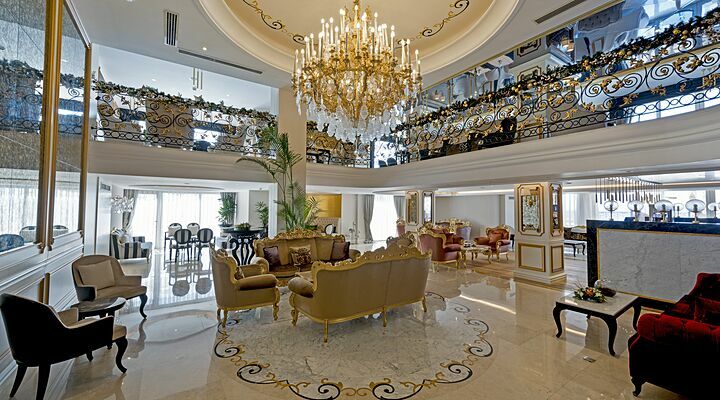 With sumptuous decor from the dazzling lobby to your comfortable suite, this is a Kyrenia hotel that loves its ‘bling’. 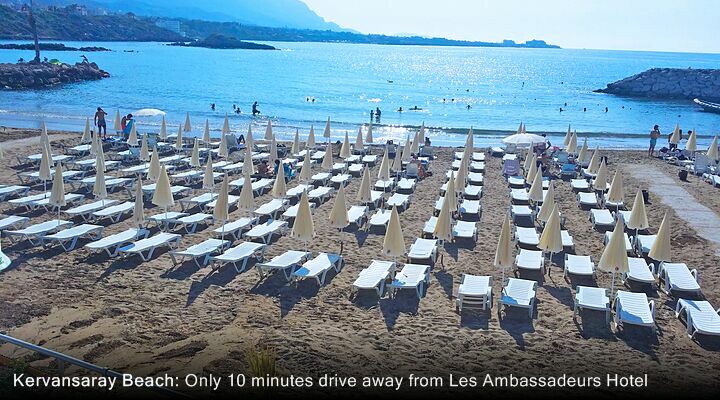 Les Ambassadeurs Hotel & Casino sits on a private promontory, so you are always within earshot of the waves. 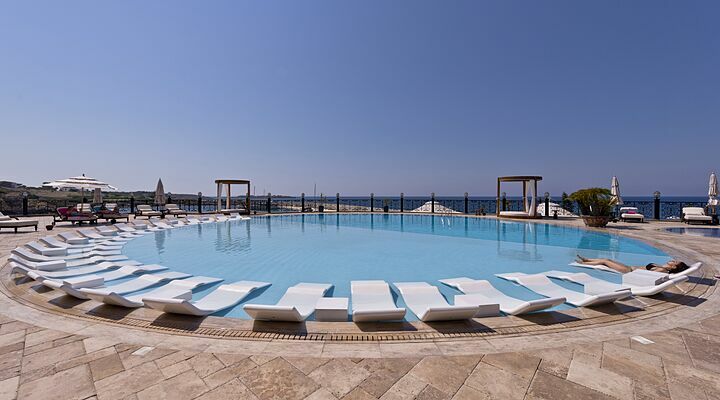 Enjoy uninterrupted views far out to sea, even when you’re swimming in the hotel’s lovely swimming pool! 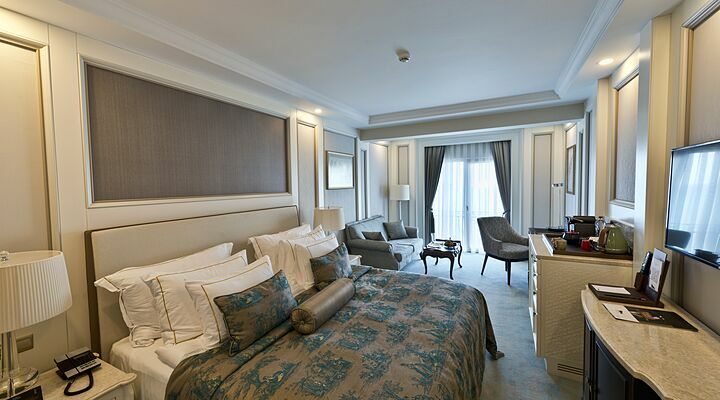 The bedrooms at Les Ambassadeurs Hotel are decorated in gentle muted colours, creating a relaxing atmosphere. 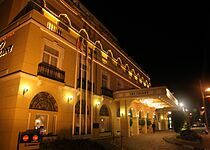 Featuring classic styled furniture and soft carpets underfoot, all rooms have air con, wifi, satellite TV, and are soundproofed for a better night’s sleep. 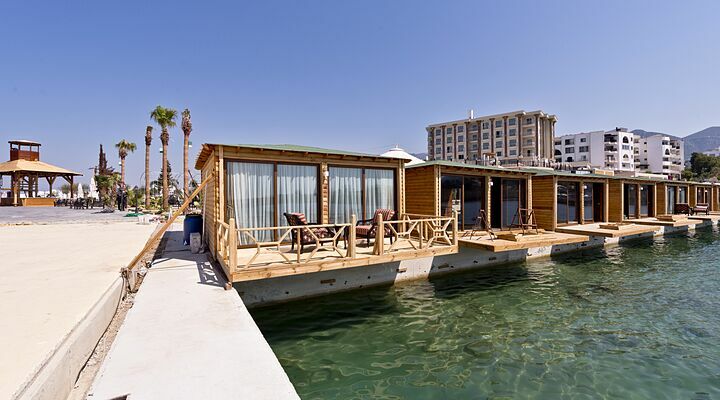 The en-suite bathrooms are beautifully finished in marbles and stone, giving a cool, contemporary look. 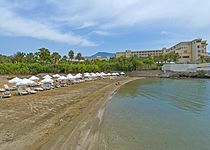 Choose from a standard sea view room with balcony, or treat yourself to a Queen or King suite, for added space and luxury. 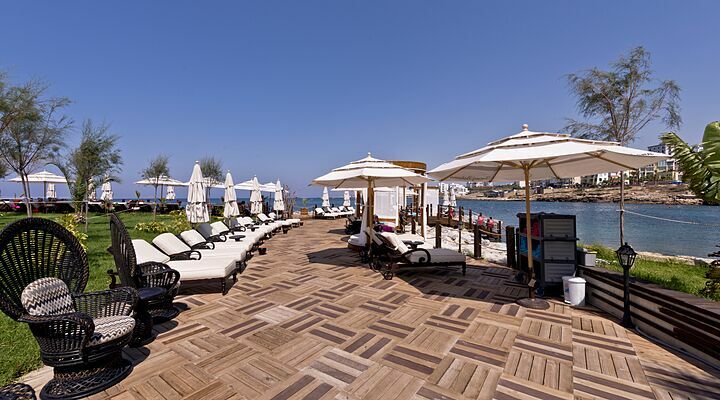 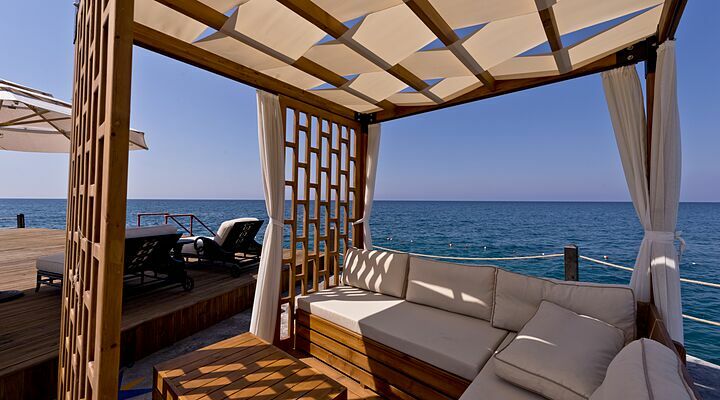 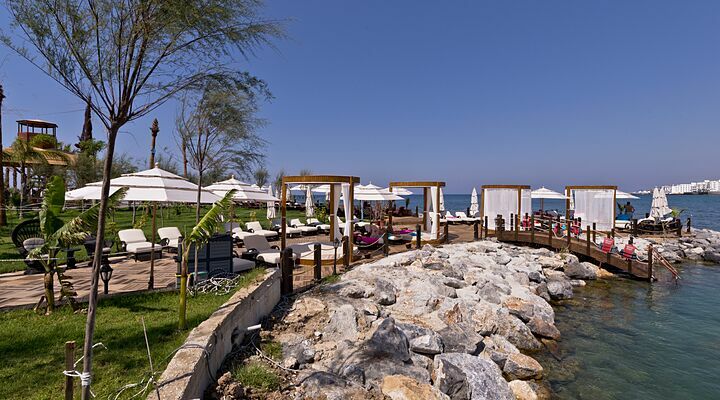 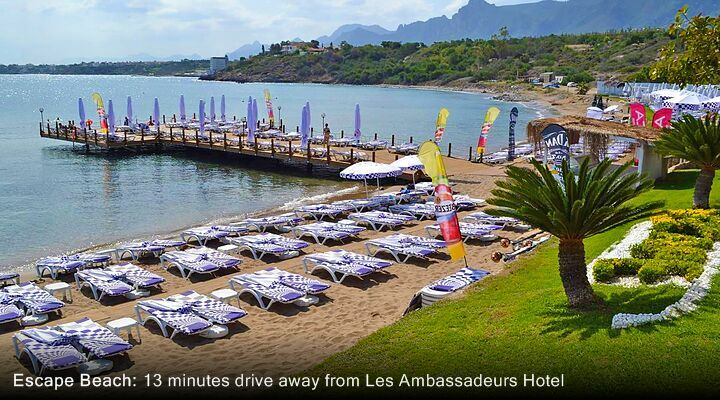 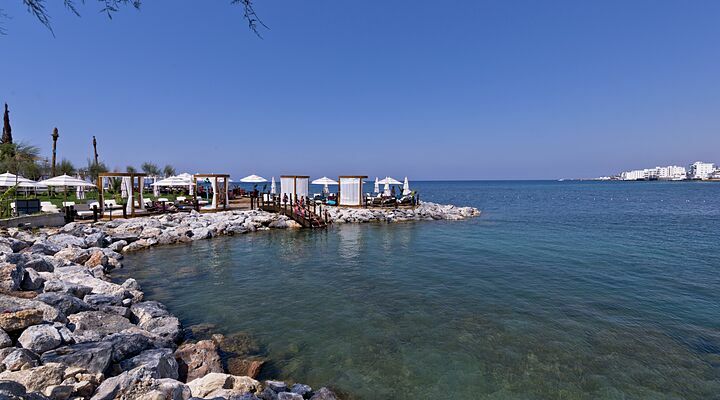 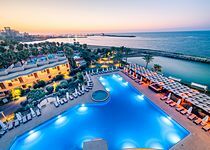 For a sparkling holiday in the sunshine, book your next holiday at the Les Ambassadeurs Hotel with Go North Cyprus. 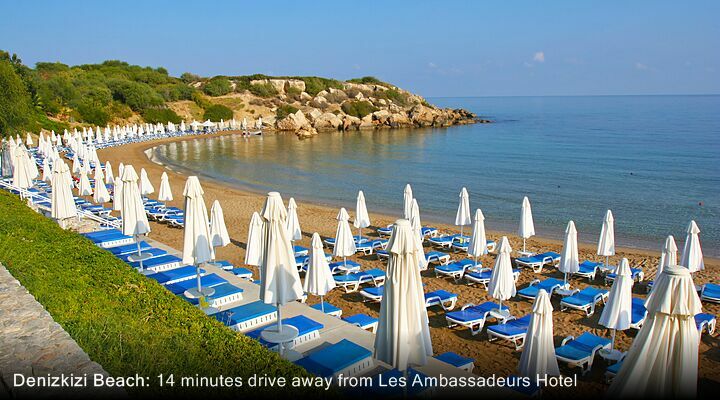 Our five star service includes private taxi transfers. 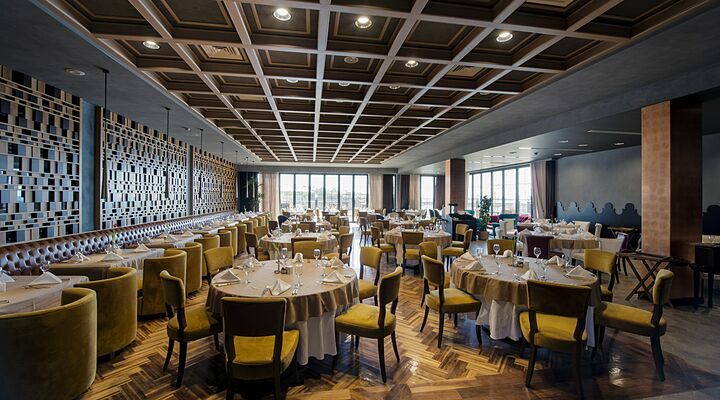 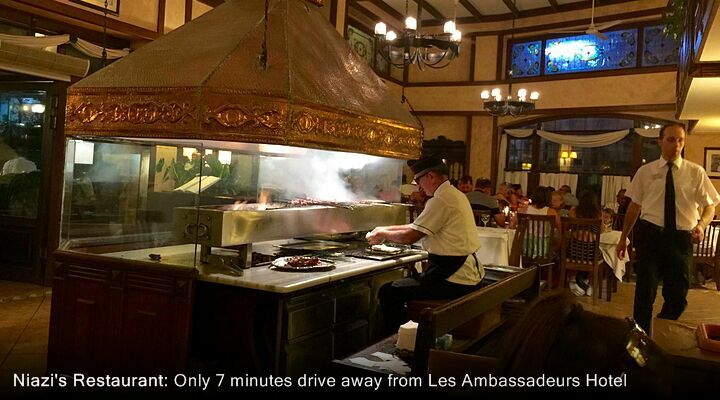 At Les Ambassadeurs Hotel, every meal is a pleasure. 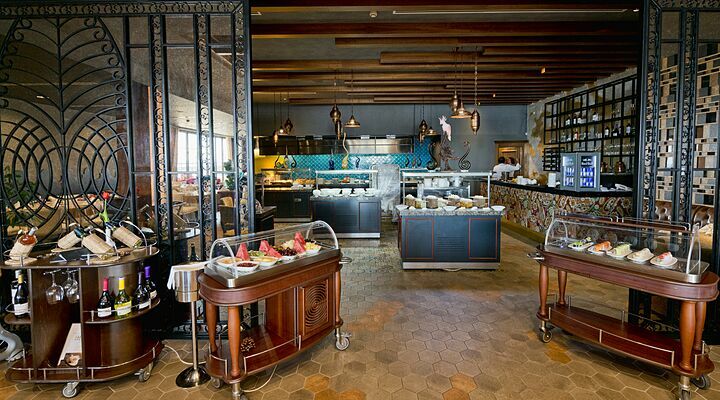 Start with a delicious buffet breakfast in the Louis Thirteen restaurant, served from 7am for those eager to get out and about, and until 11am for the night owls! 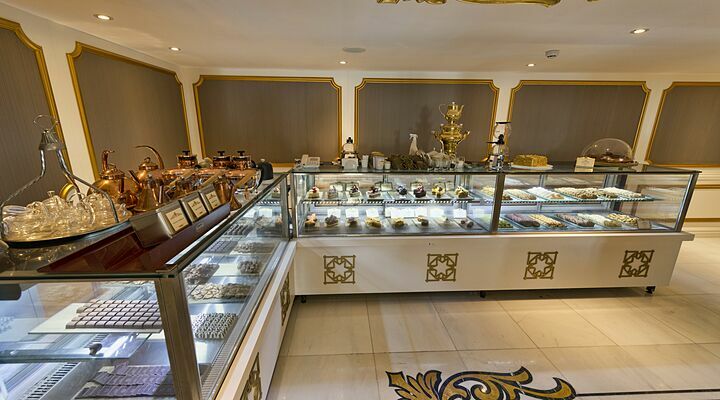 Enjoy a tasty lunch at the Bistro Café (open 24 hours), including fresh sushi and tempting desserts. 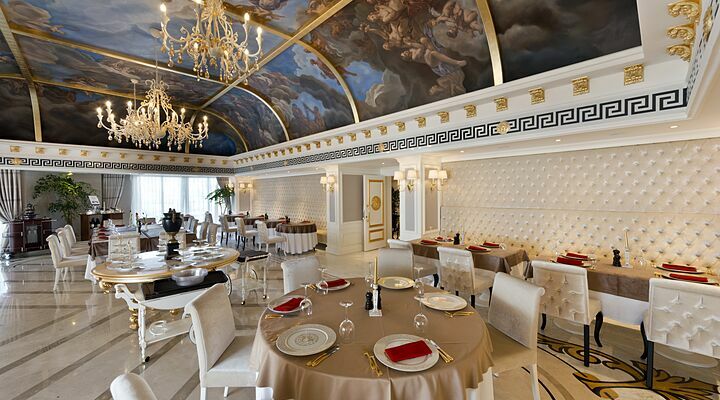 In the evening, reserve a table for fine dining a la carte at the Medusa Italian restaurant, or in the main restaurant. 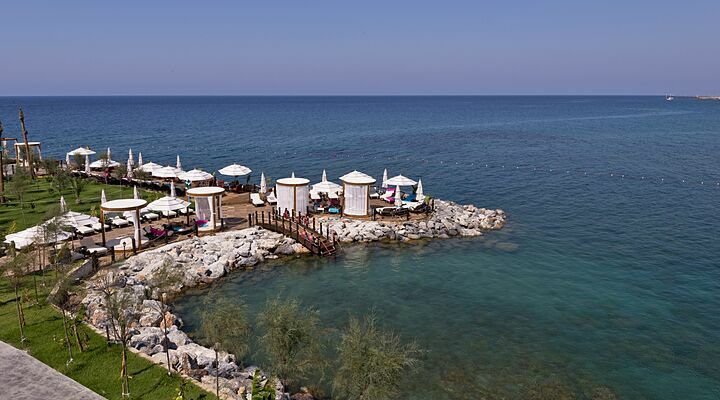 The Infinity snack restaurant also serves tasty snacks all afternoon overlooking the sea. 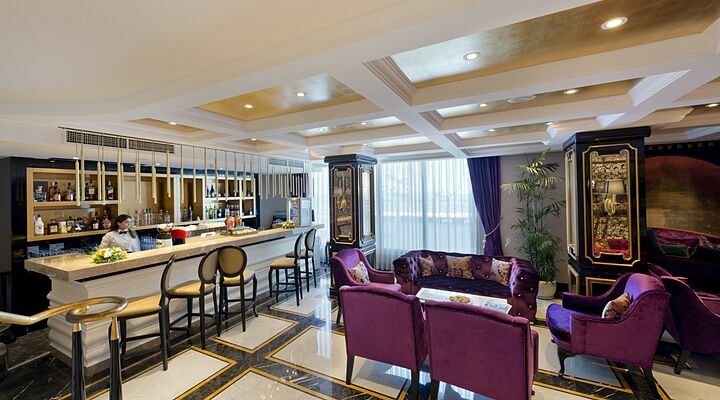 The hotel offers a choice of bars. 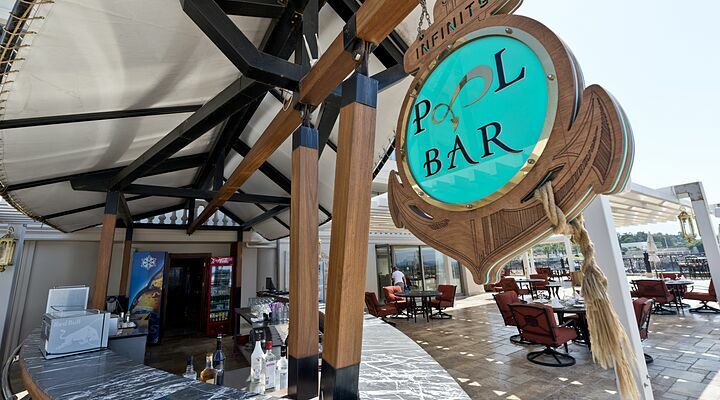 Sip a cool drink at the Infinity Pool Bar, or people-watch with a brandy sour in the glittering Lobby Bar. 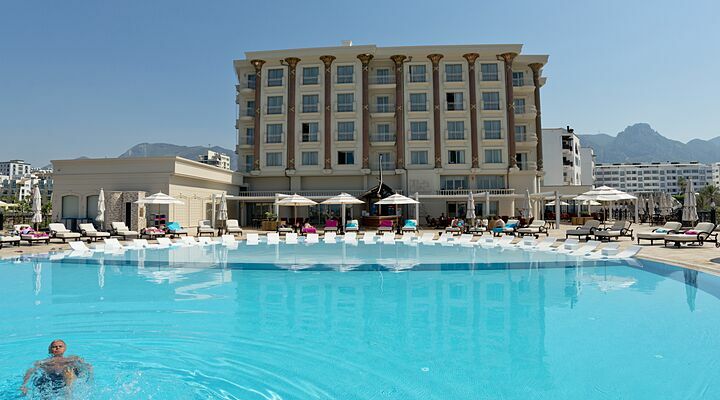 Soak up the Cyprus sunshine beside the hotel’s scalloped 50m2 pool, or recline on a lounger under a shady umbrella, cool drink in one hand and a good book in the other! 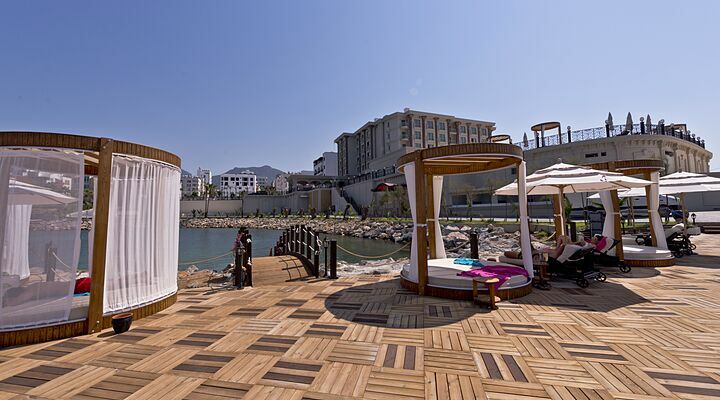 You can pamper yourself all day in the hotel’s elegant and contemporary spa. 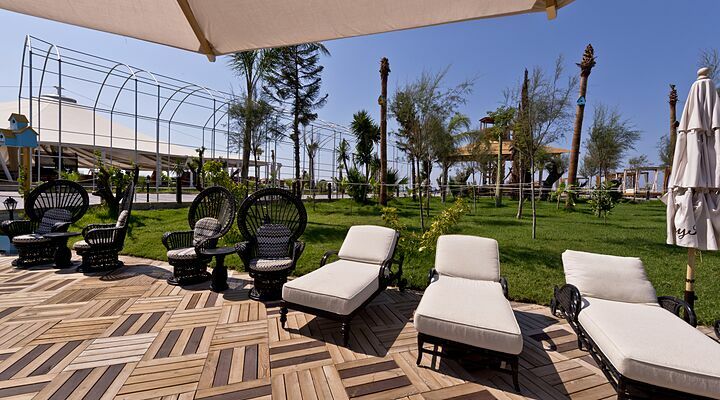 Enjoy a Thai massage, treat yourself to a skin rejuvenating skin treatment, or steam away stress in the traditional Turkish hammam. 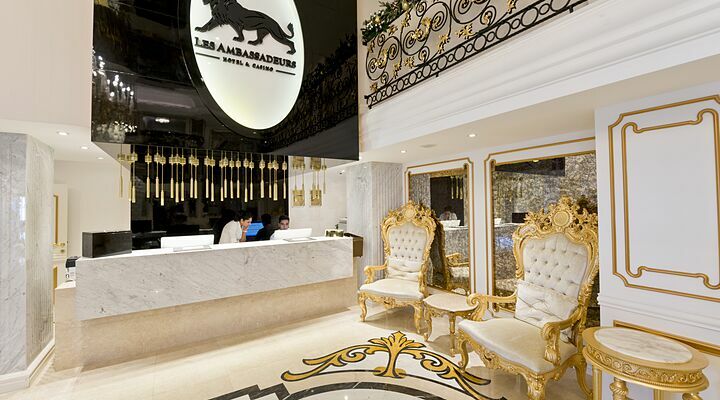 The casino at Les Ambassadeurs is like a sparkling jewel-box, from the magnificent crystal-rain chandelier to the rich tapestry style carpets. 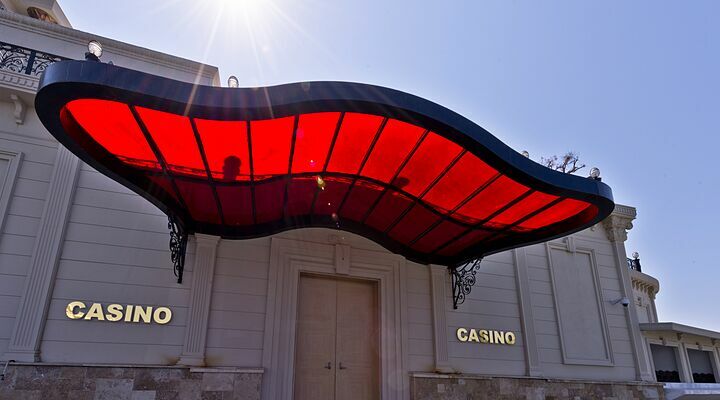 Join a game at a table, try your luck on the latest slots and games, or just enjoy the exciting ambience with a drink at the bar. 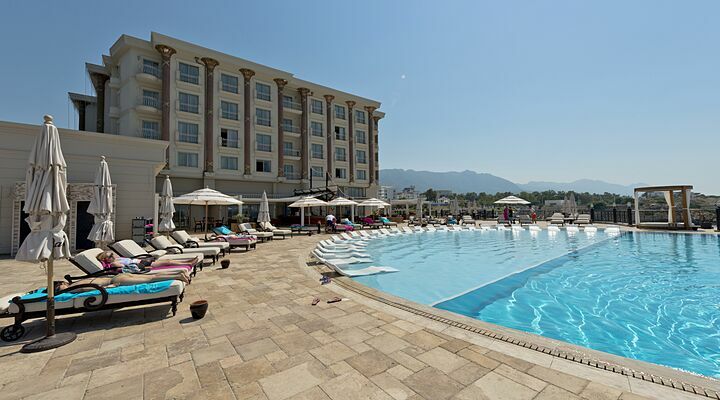 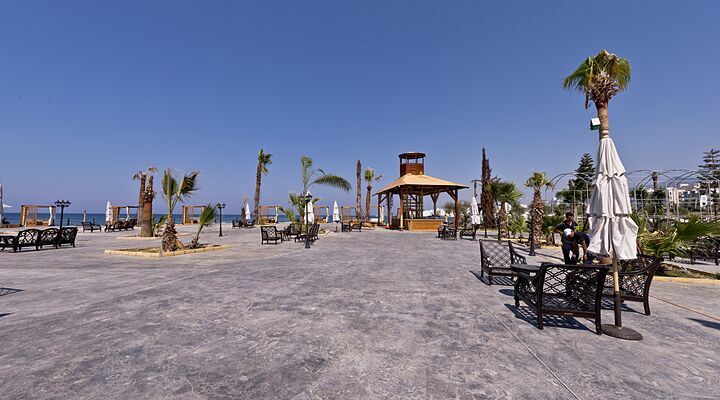 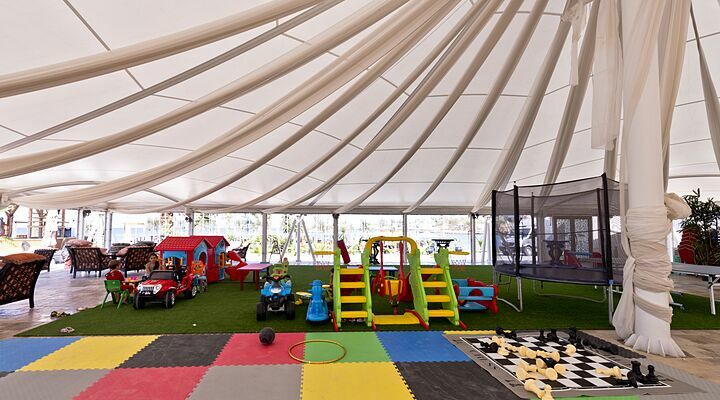 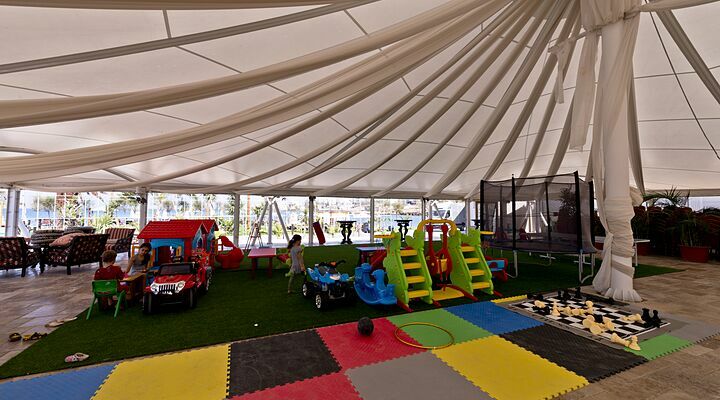 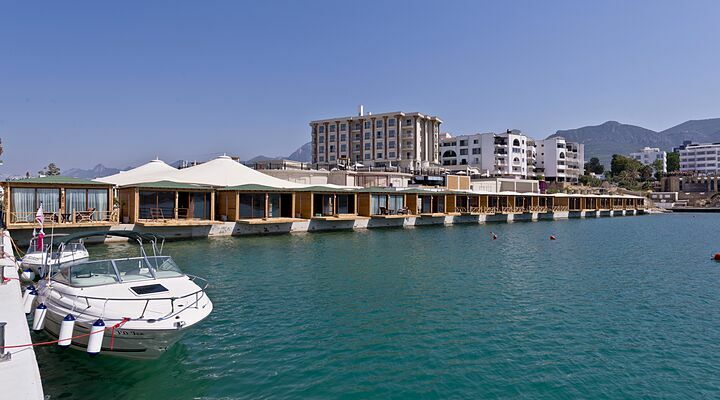 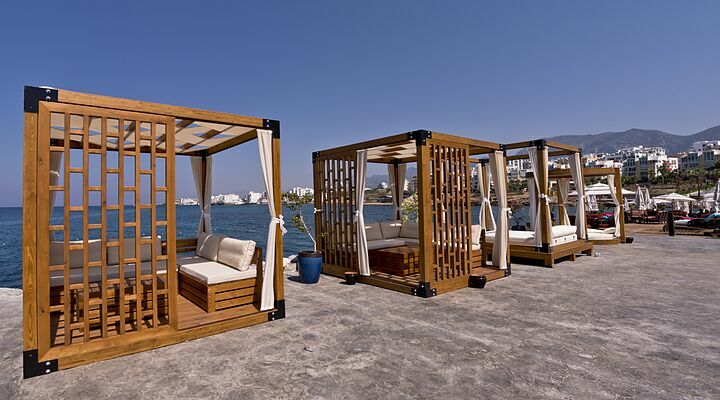 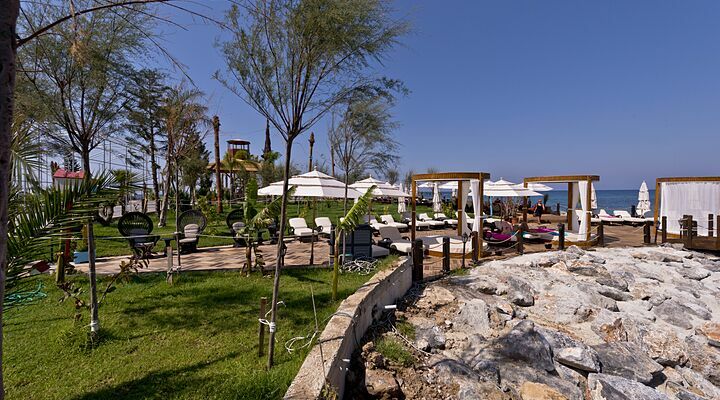 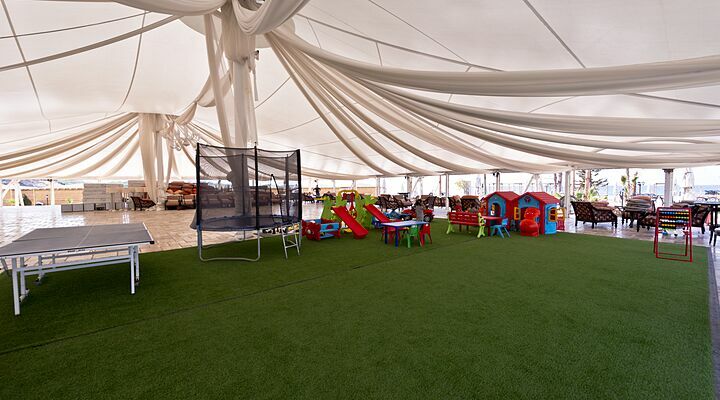 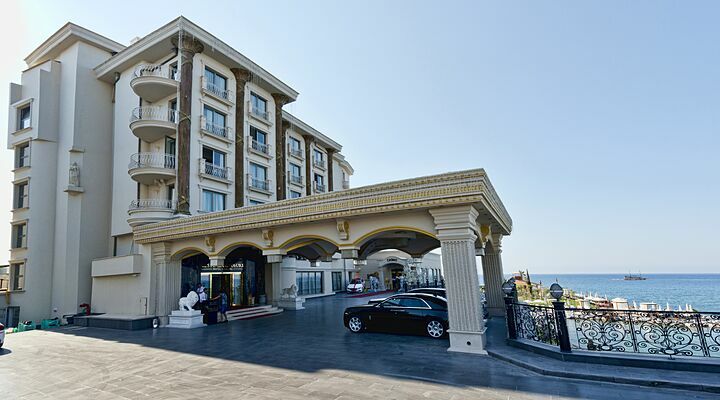 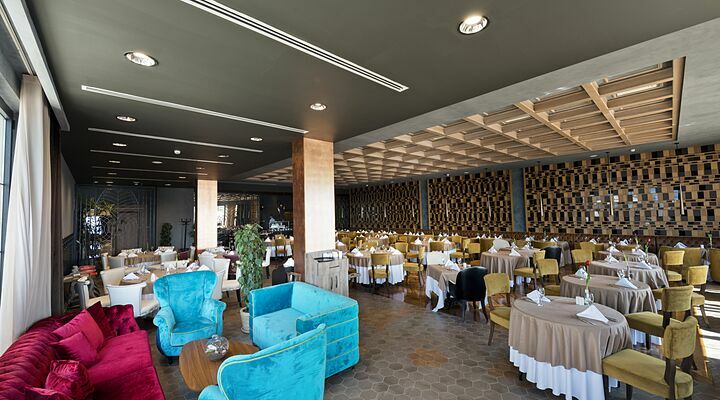 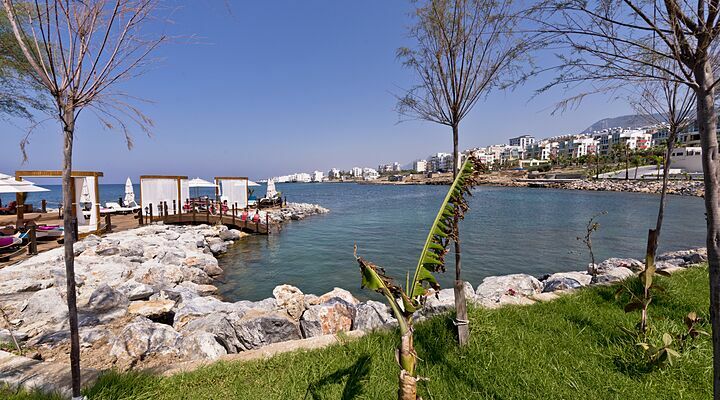 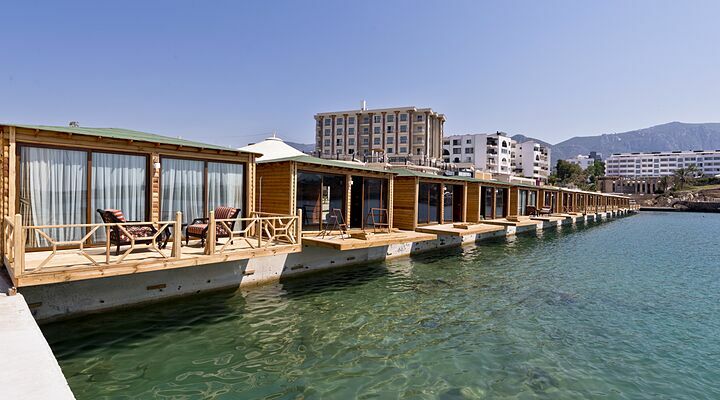 As with most five stars hotels in Kyrenia, extra services are just a call to reception away. 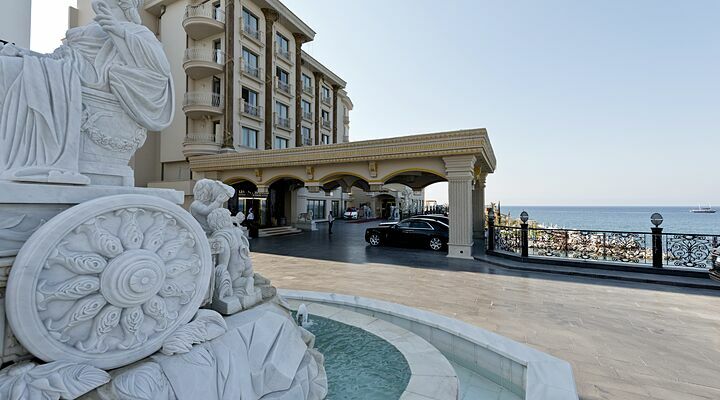 Get your laundry done, have a new hairstyle, rent a car to explore North Cyprus, order room service, or even request a birthday cake and flowers for a special holiday surprise! 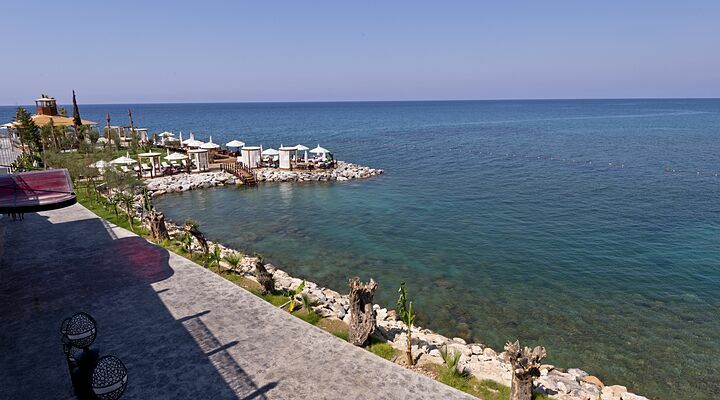 Check the board at Reception for daily activities, or ask about excursions such as boat trips, paragliding, scuba diving and Jeep safaris. 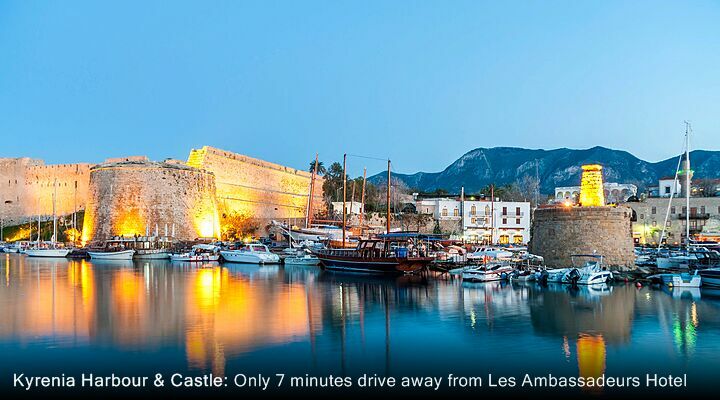 The centre of Kyrenia is just a short stroll away, including the historic harbor, mighty castle and bustling medieval streets. 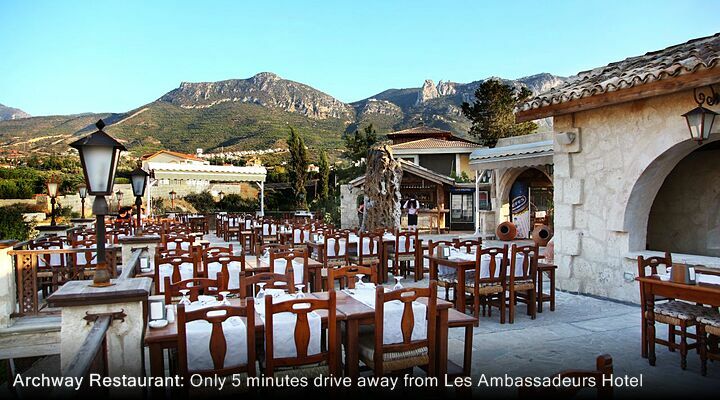 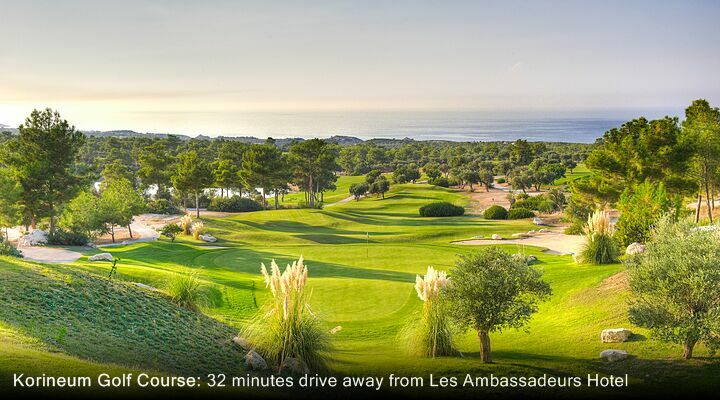 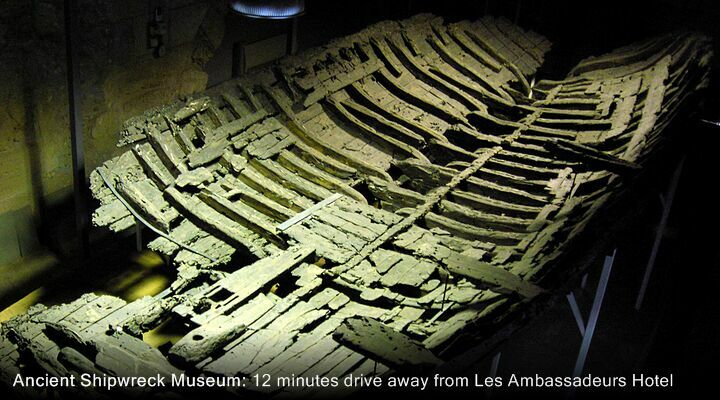 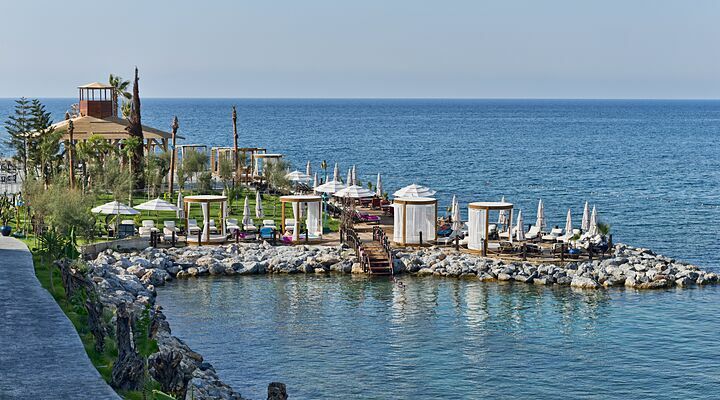 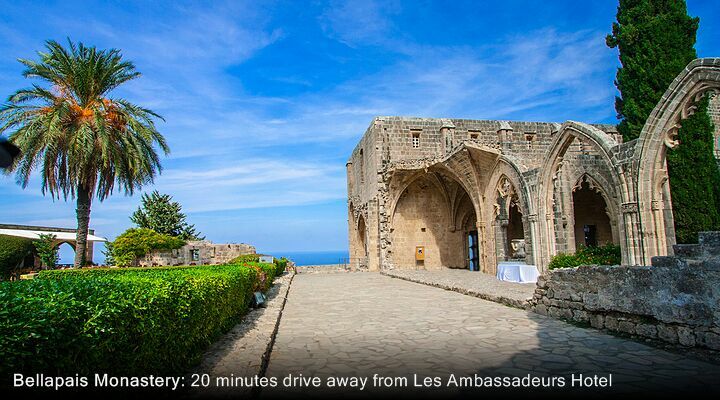 Fly to North Cyprus with Go North Cyprus, and we’ll provide a private taxi transfer direct to Les Ambassadeurs. 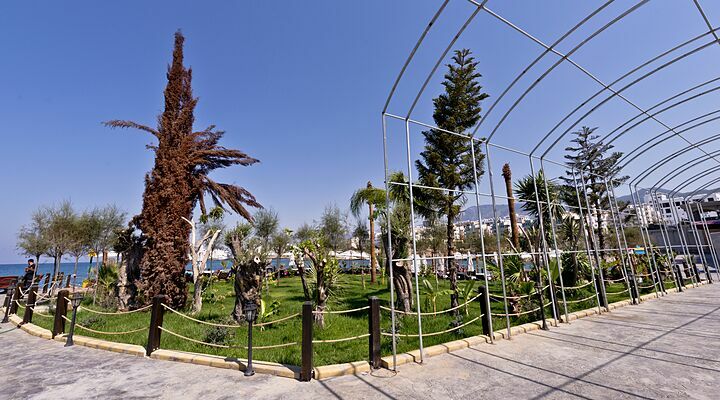 Our driver will meet you at the airport, help with your luggage, and whisk you through the North Cyprus countryside to Kyrenia in around 35 minutes.